While mobile phones are getting smarter and smarter, the people behind the Light Phone are working on building the opposite of today’s flagship smartphones: A minimalist device that can only make and receive phone calls. The Light Phone can’t send or receive text messages, it can’t be used to browse the web, it can’t send or receive emails, and it doesn’t connect to a VR headset. The phone works by connecting to a smartphone app that forwards calls through the device. The phone is approximately the size of a credit card and features an OLED dot-matrix display. It weighs 38.5g — almost 100 grams fewer than an iPhone 7 — and is powered by a Qualcomm Snapdragon 8208 processor. Manufacturer Light claims that the phone can last approximately three days on standby. 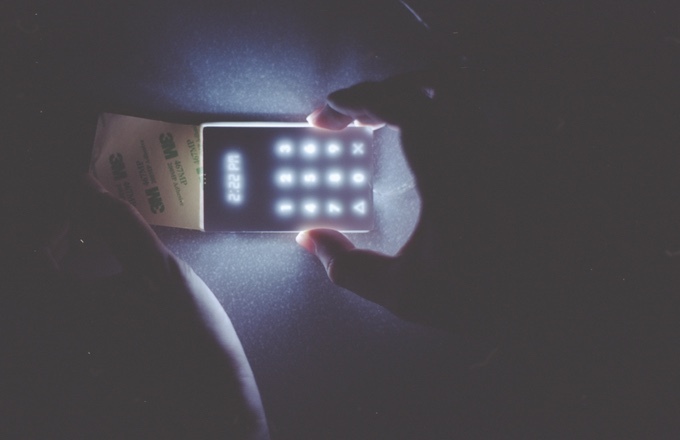 The Light Phone uses its own nano-SIM card — provided in-the-box — and runs on 2G GSM networks. Users pay $5-USD-per-month for the SIM, but Light offers customers who pre-order the phone five months of free service. The phone can also store a total of nine numbers on speed dial, using a desktop app to program numbers into the device. The Light Phone Kickstarter was launched in 2015, and the first round of devices were shipped to backers in January. The phone can be pre-ordered for $150 on the Light website. Light estimates that the phone will be available to new pre-orders by the end of May 2017, and the device is currently only available in the U.S.